Napa Valley, north of San Francisco, is California’s prime wine growing area. Some of the world’s finest wines are grown there. Sustainable crop management practices are part of the quality brand image of Napa valley’s top wineries. Integrated pest management and certified organic production are on the rise. Over the past few years, Biobest has been involved in the production of beneficial organisms (predatory mites and beneficial insects) for vineyards. 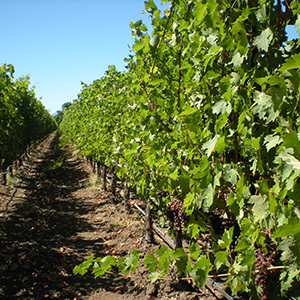 Jack Neal & Son is a well-known provider of vineyard management services. Working with Biobest has helped them become a front-runner in the field of integrated and organic crop management. For example, Californicus-System (N. californicus) and Fallacis-System (A. fallacis) are often released to prevent outbreaks of erineum and spider mites. When prevention is not possible, rapid action is key. Biobest is able to provide predatory mites very quickly, the company has an insectary in California. Regular scouting in the field allows to identify areas of pest activity and to treat those before they spread. For instance, Cryptolaemus montrouzieri, a high density predator in the ladybird beetle family, works great to wipe out hot spots of mealybug activity.